Pakistan's claims that its air force did not target the Indian military installations during Wednesday's air intrusion was false, Defence Ministry officials said Thursday. 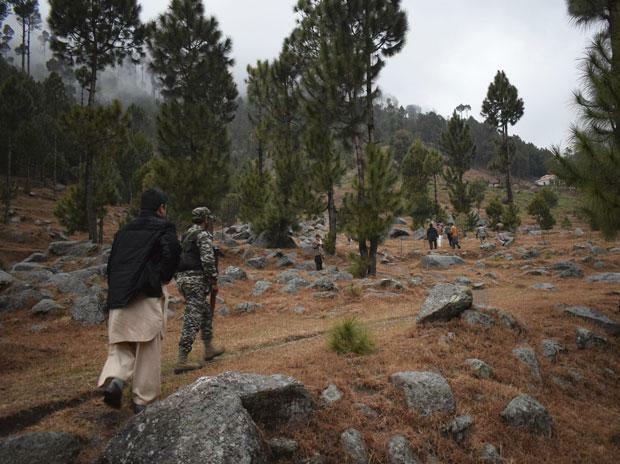 They said that the Pakistani jets clearly targeted multiple military installations in Naushera and Rajaouri sector, but their attempts were foiled by the combat patrol team of the Indian Air Force. Sources said that the alertness of the armed forces remained at the highest level. They said that the leaves of security forces have not been cancelled, though leaves of personnel holding important positions are being curtailed. The sources also said that there has been no mobilisation of ground forces yet and that some forces are ready to move at short notice. An IAF pilot was captured by Pakistan after an air combat Wednesday during which the two sides said they shot down each other's warplanes that followed an unsuccessful attempt to target Indian military installations in retaliatory strikes that sparked fears of war. The aerial engagement between India and Pakistan for the first time since the 1971 war marked a dramatic escalation of confrontation prompting world leaders to urge the two neighbouring countries to exercise "utmost restraint". India said it shot down an F-16 warplane of Pakistan while it lost a MiG 21 during the fierce engagement between the air forces of the two countries along the Line of Control.